Need a Fluid Leak Inspection? How Much Does a Fluid Leak Inspection Cost? Noticing a puddle of fluid under your vehicle is never a good feeling, and it is usually an indication that major repairs may need to be carried out. Identifying the fluid that is leaking can give you an indication of what component has failed, and what to repair or replace to get your vehicle back to its best! If you have been using the air-conditioning, it is normal for a puddle of clear liquid to appear under your vehicle. This is condensation that has drained out of the air-conditioning system, and is completely normal. It could also be windshield washer fluid, which can leak from a cracked bottle, or a split washer hose. This indicates that the cooling system of your vehicle is leaking. Other symptoms may include a burning smell and your vehicle overheating when driving. Some brake fluids are green or blue in colour, which may indicate your braking system is leaking, and symptoms may include increased stopping distances, or a spongy feeling brake pedal. 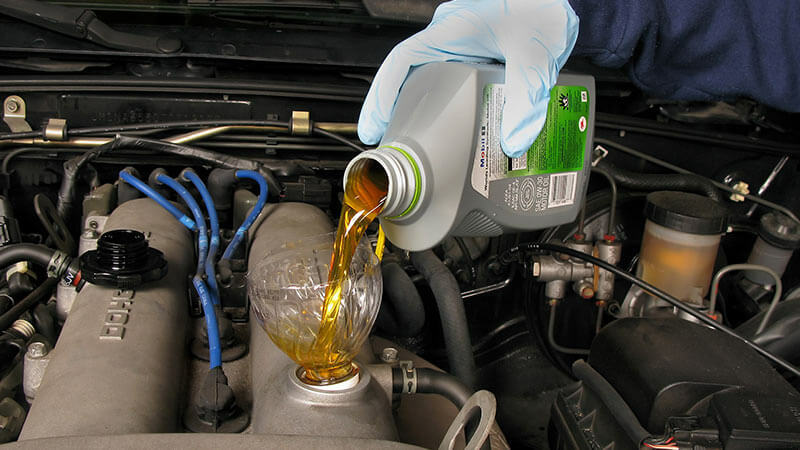 Light or dark brown fluid on the ground usually means that your engine is leaking oil. This could be from a failed gasket, a leaking hose, or a damaged engine component. Some brake fluids are also a brown colour, especially if it has not been flushed on a regular basis. On newer vehicles, a pink or red fluid leak can indicate an issue with the cooling system, or a power steering or automatic transmission leak. Symptoms include a burning smell when driving, your vehicle overheating, the steering becoming heavier, or poor transmission operation. Our mechanics will inspect your vehicle, find the type and source of the leaks, and provide you with a detailed report on the cause of the leaks, and a quote for the necessary repairs. How Important is Having your Fluid Leak Inspected? Operating your vehicle while it is leaking fluid or oil, can cause expensive engine damage, as well as making it unsafe to drive. Failure of the braking system, or an overheating engine, may leave you and your family stranded in a dangerous situation. Having the leak inspected and repaired as soon as it is noticed may save you on expensive and preventative repairs further on down the track.